Is the BBC Trust getting the message from Wales? 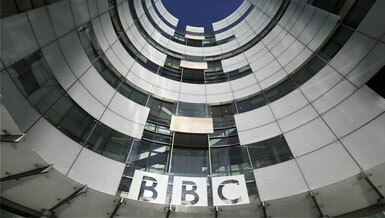 The BBC Trust held a seminar in Cardiff ‘as part of the Charter review process’ on 20th October. It was open to the public but the majority of those present were media workers, academics or correspondents. The Western Mail report on it is accurate but conveys nothing of the atmosphere among the attendees which was, at times, mutinous and, finally, outspokenly critical. These sore spots have to be examined or they will go on festering to no good purpose. Doubtless the Trust’s intention for these seminars is to both present its current work on Charter review and canvass local opinion and experience in order to reach a final position which takes account of the needs of all parts of the UK. What the Cardiff seminar brought to light is a range of areas where Wales feels profoundly misunderstood. Trust chairwoman, Rona Fairhead, after a brief introductory speech, sat on the sidelines to act as a rapporteur while a panel consisting of James Purnell, BBC director of strategy and digital and four ‘locals’ took centre stage. This format meant that it was James Purnell who was in the spotlight and, in my view, made it crucial to note what Rona Fairhead would feed back to us from the ensuing debate. What, I wondered, would the Trust representative register as to how things look from a Welsh perspective? James Purnell assured us more than once that, “Wales is an incredibly important part of the debate” and, also more than once, that, “We are going to cut Wales less than everywhere else” though I don’t recall him quite saying why – but who was going to ask, in case that sounded like a plea to take our share of the punishment? No, we’ll keep our heads down as the axe swings by. Will we? Again, more than once, he asserted that “if we are going to address some of the issues raised today we are going to have to make our money work harder” but he never said how our money would be empowered or coerced to reach this Stakhanovite ideal. This was an audience which would have welcomed, and could have handled, some detail. It was this mixture of assertion without clear means of achievement that led to the unease in the audience, as though we were not being fully brought into the discussion but expected to content ourselves with the equivalent of press releases. This was also an audience that would have appreciated a demonstration that the director of strategy and digital knows in some detail what we have already lost, and why that matters, as well as exactly why losing more is regarded here as so problematic. But that was not demonstrated, which suggests that it is not understood as well as it should be. It was also uncomfortably clear that something which Mr Purnell takes as an unchallengeable given is, to this particular audience, not so incontrovertible. He told us, more than once, that any extra money for English language programmes for Wales can only be funded by taking money away from network product and we wouldn’t want that, would we? He mentioned the new ‘War And Peace’ series several times. That’s what’s at risk if we demand more money. Well, surely the balance between network spend and spend in the nations should be discussed. What are the figures? How much would be too much to take away? Or is the Welsh audience to accept this dispensation silently in case we’re put in the naughty corner for spoiling it for ourselves and everyone else by asking for more? This is not about petulantly refusing to look reality in the face. It’s about examining the conclusions about that reality which the Trust is in the process of reaching. There are at least four crucial points about this reality that deserve particularly careful attention: talent, commissioning, cultural impact and market failure. Talent: Rona Fairhead summed up the seminar contents. It was noteworthy that she mentioned approvingly a point about the investment of resources and time needed to develop drama excellence (made particularly by Jane Tranter of Bad Wolf) but not an important counterpoint by Phil George (Green Bay Media) about excellence in factual programming. Is this recording of one point but not the other evidence of a worrying readiness to see Wales as a place which needs nursing along in terms of talent rather than as a place which has demonstrated over and over again that it has talent, and achievement, aplenty? Jane Tranter mentioned the problem of ensuring that once imported Heads of Department go home (back to not-Wales) there are (in-Wales) people to replace them. Phil George stressed that it is not necessary to take this ‘nursery slopes’ approach in factual because Wales has long since demonstrated capacity there. If a misunderstanding takes root in the Trust whereby BBC Wales is seen as somewhere that will be good eventually, rather than good now, it might mean condemning Wales to unnecessary nannying, particularly in the factual area, and it allows some kicking of the can down the road even in drama. Commissioning: The difficulty around getting Welsh commissions on the network was raised. This is an issue with several delicate aspects that need proper discussion and a willingness of the centre to listen because some of it is about unconscious bias and about sensibility, not simply about creative capacity. Cultural impact: the cultural effect of cuts to the BBC is perhaps the thing most difficult to convey beyond the borders of Wales. One would need to spell out what cutting Wales ‘less than everywhere else’ means. Already the English language service is described by BBC Audience Council Wales as being ‘on the cliff-edge’. Is Wales being cut less than everywhere else simply because there’s no ground left to cut away? The needs of a nation – that’s the crux at which the four points meet. A nation within a partnership of nations. First Minister, Carwyn Jones asked culture secretary, John Whittingdale on 20th October for an urgent review of the BBC’s role in Wales to establish “a clear definition of what Wales needs and what the BBC has a duty to deliver” and asked for S4C to be included in such a review given its links with the BBC. The BBC (radio, television and its other provision) is part of a market and part of a Public Service Broadcasting landscape along with other channels and providers who have some PSB obligations. Together they provide the plurality of service needed to adequately serve a democracy. The Trust has been running a two-stage consultative process on Charter review as well as commissioning qualitative and quantitative research on attitudes and other topics . The process of publishing results of all these has already begun on the Trust website. What a face-to-face encounter such as this seminar provides to us in Wales, uniquely among consultation formats, is the chance to form a view not only on what was said but what was understood by those who are trying to get the measure of opinion. Judging from Rona Fairhead’s feedback we have reason to be worried. However, the seminar was recorded and will be viewable on the Trust site in due course. We will all be able to form an opinion and even have second thoughts. Radio, it has to be said, got scarcely a mention. That’s rona.fairhead@bbc.co.uk or care of philip.lillico@bbc.co.uk Chief Adviser to the Trust.